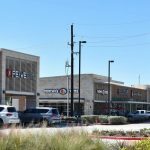 Houstonians can soon get their fix of a sushi burrito with the opening of U’Maki Sushi Burrito restaurant at the Vintage Market plaza. 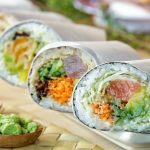 The restaurant’s specialty is a jumbo sushi roll the size of a burrito, made with seaweed wrap and guests’ choice of over 30 ingredients including salmon, fresh tuna, fried crawfish tails, snow crab meat, baby kale and avocado. Click here to read the full article on Houston Chronicle.